71.3 GB download size Too large to download? Choose hard drive delivery at checkout. After a decade of exhaustive sampling, and four years spent capturing our finest woodwind players, Spitfire are proud to present Symphonic Woodwinds. It is a definitive collection of orchestral woodwind recorded and deep sampled at Air Studios, London. Featuring multiple dynamics, vibrato control, numerous round robins and a variety of traditional and more esoteric articulations (clarinet flutter tongue? tick!). Not only does SSW feature the usual suspects, our deep sampling has been extended through the extraordinary lesser used areas of the wood choir, alto and bass flutes and contrabass clarinets, to name but three! 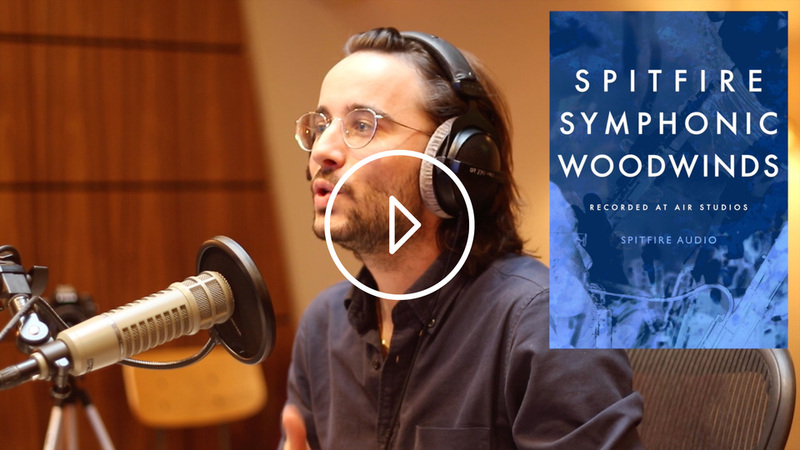 Originally released in modules as part of the BML (British Modular Library) project, Spitfire Symphonic Woodwinds is a rationalisation of these numerous, deep sampled components, along with many improvements, including a host of new articulations (totalling an additional 30% of content). 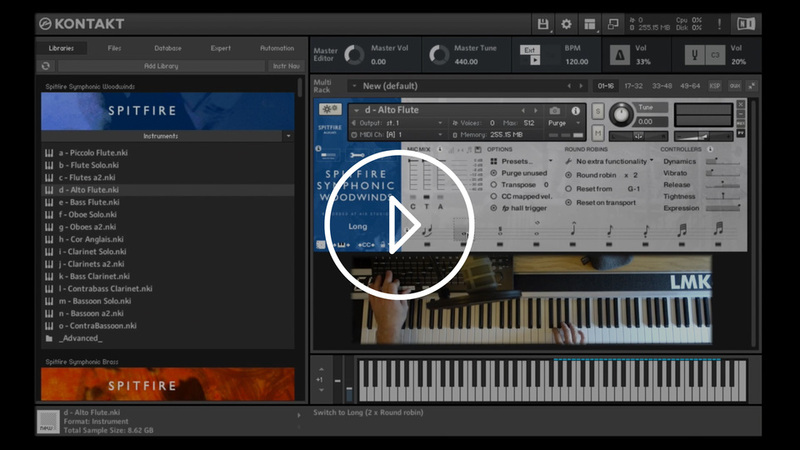 We've created a more affordable entry into what we believe to be the finest orchestral woodwinds library available today. With playing styles from lyrical solo oboe to thunderous contrabassoon making noises that you get in a room like The Hall at Air Studios. Whether you're an aspiring John Williams or Alexandre Desplat, we're sure this compendium of wind will keep you busy for many happy years to come. 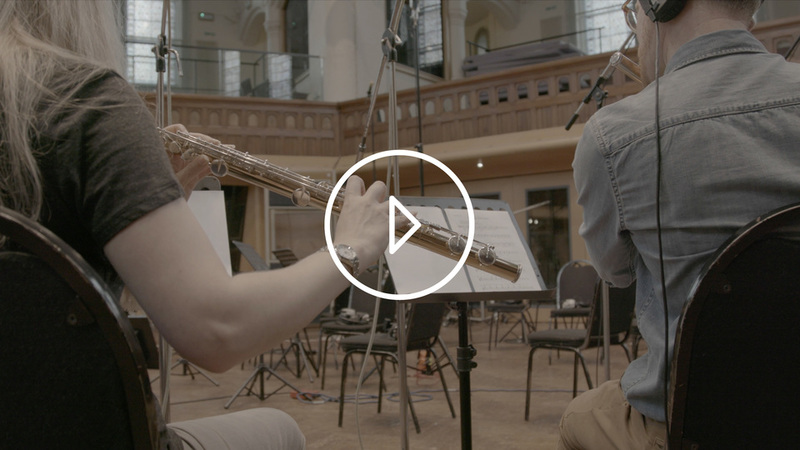 For the more traditional and 'popular instruments' (say oboes, C flutes, clarinets, and bassoons) these fine players have been recorded solo, and two are recorded in unison. They are seated exactly in situ so combine the a2 patches with the solo ones for a slightly larger section whilst maintaining spectral integrity.